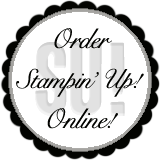 Ever wish you had more money to spend on Stampin' Up! products? Consider it done! Between April 15 and May 30 we have two ways for you to earn more Stampin' Up! "money", which means more free products for you! Want more information about this awesome promotion, then contact me vanessa@stampwithvanessa.com. Today I needed a Thinking of You card...I actually need several of them this week, so I will be busy! 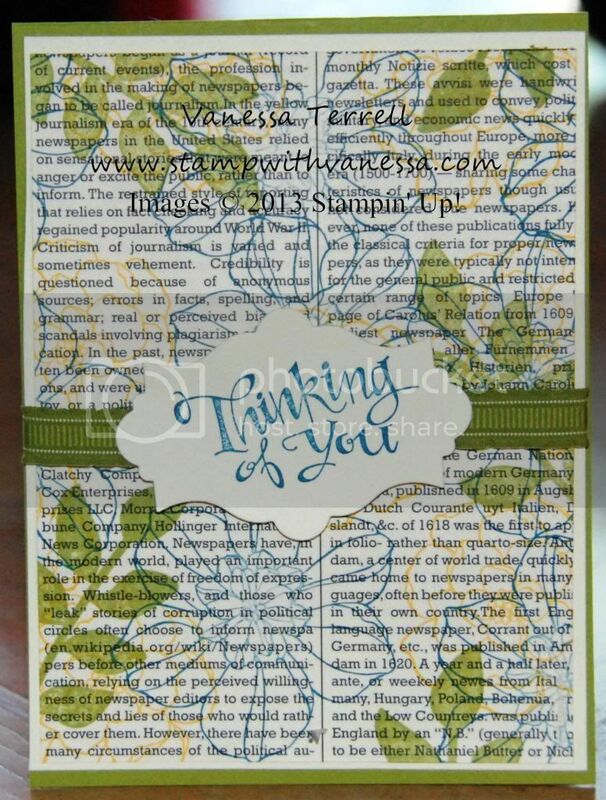 I used the Secret Garden stamp set and the First Edition DSP. Here is what I came up with.